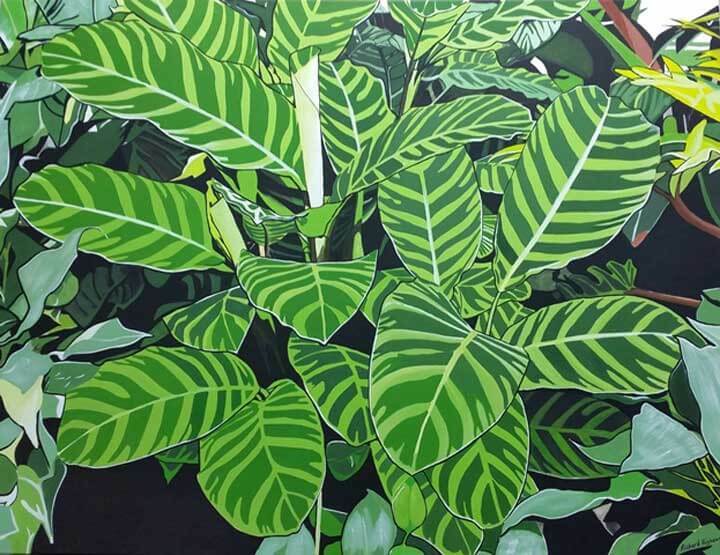 This painting was inspired by a visit to the Hagley Park conservatories in the Christchurch Botanic Gardens and focuses almost completely on a single plant, a zebrina. It’s typical of the artist’s enjoyment of botanic themes. “Zebrina develops on my personal way of painting and I was inspired by the striking variegated leaves of the plant.” Acrylic on canvas, 2017.